These golf chipping tips are rooted in the basics of golf. 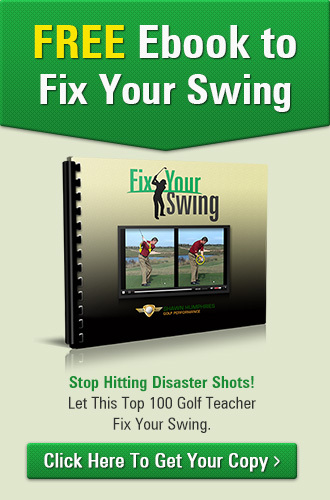 They are so important that they can correct a lot of bad results well before the swing ever takes place. Being consistent with these fundamentals will help make you a better player. 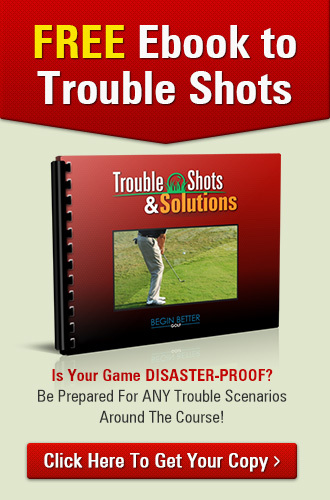 It will take you only a little extra effort, but the benefits to your shots and scores will be tremendous. In addition to what is outlined in the video, let’s take a look at ball position for hitting a chip shot. Place the ball in line with your sternum, or middle of your chest. This is the easiest way to place the ball so that you make solid contact. Keeping the ball in line with your sternum is the easiest way to describe ball position. By keeping the ball in this position you will make sure that your club will make contact before your swing arc bottoms out. This is critical for crisp contact. If your club reaches the bottom of it’s arc before it gets to the ball then you will hit the ball with the bottom edge of the club. That will send the ball screaming over the green forcing you to chip again. You really want the club to reach the ball as it is still moving down towards the ground. The most misunderstood concept in golf is that we want to hit down on the golf ball. Hit down to go up. Your golf ball’s position can really affect whether you will have the proper downward strike. 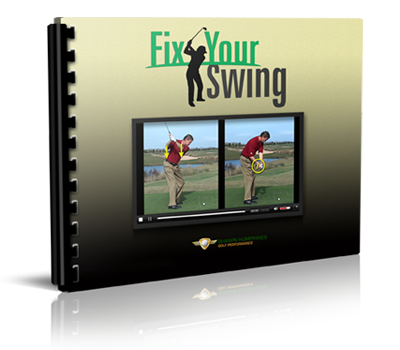 Your club should be striking the back of the ball…before your club hits the turf. Your club will strike the ground after you hit the ball. By placing the ball in line with the middle of your chest you will be able to make good contact. It is okay to have the ball farther back in your stance. Many great players play the ball off their back foot. You will need to experiment to find the ideal position for you and then stick with it. Just don’t move the ball ahead of your sternum. Inconsistent contact on the ball. You will hit behind it one time. Hit it well the next. Then blade it. We want to be as consistent as possible. Consistency lowers scores. In order to make good contact, you have get your sternum in line with the ball. This means you will have to slide your body sideways. This movement is not necessary with good ball position and only makes the timing of your swing harder. This game is all about timing, and we want to keep that as simple as possible. If you get your ball position right then you won’t have to deal with any of these problems. This type of contact is near impossible to control. You will normally hit your ball over the green and have to chip again if you make contact like this. Get your ball position correct by lining the ball up with you sternum. You can place the ball a little further back in your stance if that suits your style of chipping setup and stroke. But…never put the ball further forward as that leads to inconsistent chipping. Your ball can be moved back in your stance. I prefer to to the ball in the middle of my stance, but you can play this shot closer to your back foot. If you do you will deloft your club. This means the face will be steeper and the ball should fly lower. On firm ground you can pinch the ball against the turf to create more spin. If you do then your ball will not roll out as much to the hole. If your ball gets too far back in your stance it will close your shoulders in your setup position making it harder to start your ball on your intended line.